The Beatles official site has just posted a press release about the new Ron Howard directed feature-length documentary film, The Beatles: Eight Days A Week. Hulu Launches Hulu Documentary Films with Highly-Anticipated Documentary The Beatles: Eight Days A Week from Director Ron Howard. 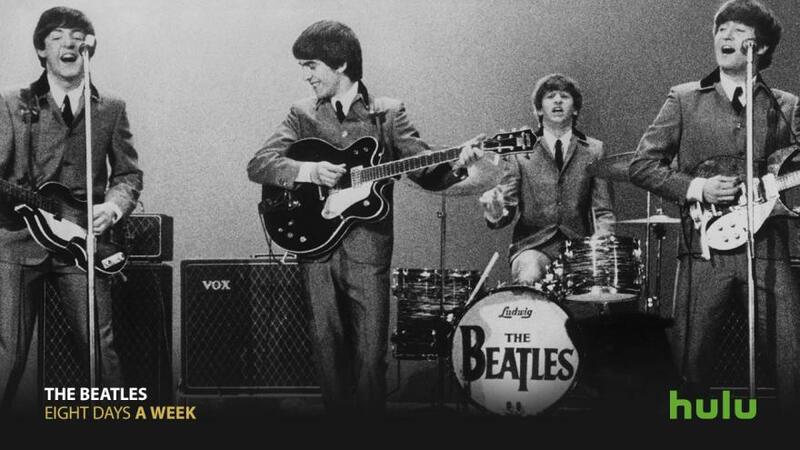 The Beatles: Eight Days A Week marks the first documentary feature to premiere exclusively on Hulu following its theatrical run. The film comes to Hulu in the company’s first-ever licensing deal with Apple Corps Ltd. The film will be the first to launch under the new Hulu Documentary Films arm, which will serve as a new home for premium original and exclusive documentary film titles coming to Hulu. This entry was posted in Beatles, Beatles Collecting, Beatles Music, Movies and tagged Beatles, Beatles Collecting, Live, Music, Ron Howard by beatlesblogger. Bookmark the permalink. Wow, this is the first I’ve heard about this project. Can’t wait to see it! Ron Howard obviously knows what he’s doing when it comes to directing, and with official cooperation from everyone, how can it not be amazing? Hopefully they’ve got some unseen footage from the Cavern Club (or Hamburg! ), I’ve always been fascinated by what the Beatles were up to in those early days. For anyone else who loves the early days, the book The Beatles – All These Years: Volume One: Tune in by Mark Lewisohn is a MUST-READ.